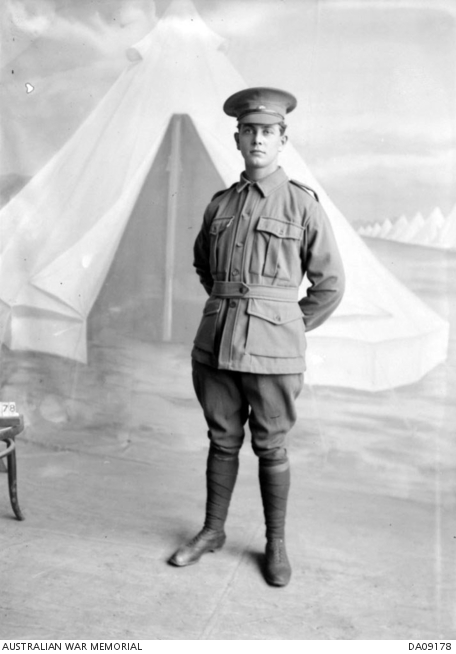 Studio portrait of 2517 Private (Pte) Frederick Charles Stephenson, 21st Reinforcements, 13th Light Horse Regiment, of Leichhardt, NSW. Pte Stephenson enlisted on 10 February 1917 and embarked from Melbourne aboard HMAT Nestor on 21 November 1917. He returned to Australia on 1 April 1919.